One of the main reasons why a limited liability company (LLC) is a desirable business structure is clearly because it “limits liability;” but in what way and to what extent does it limit it? Understanding the answer to this question will be a big factor in determining whether you want to upgrade your sole proprietorship to an LLC. There are 10 times as many sole proprietorships that file a DBA compared to LLC filings in the US, and the reason is obvious – because it’s faster, easier, and cheaper to set up shop initially as a sole proprietor. But, when a business begins to grow, potential liabilities grow with it. That’s the time when it makes sense to switch over to LLC status. 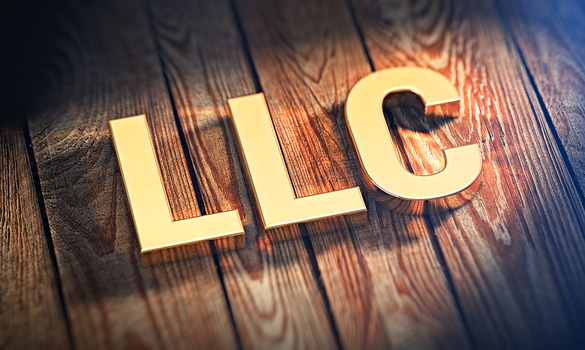 What Liability Protections Does An LLC Bring? A limited liability company allows you to avoid personal liability for business debts, even if you own or are steeply involved in the operation of that business. The company remains liable for its own debts, but not the member(s) of the LLC. Also, liability for accidental injuries, property damage sustained by a client,, false advertising, and a host of other issues rests on the business but not on the individuals running it. You protect yourself from liability by upgrading to LLC status, and then, you can protect the business from liabilities by buying commercial general liability insurance and/or other types of insurance policies. Forming an LLC prevents creditors or those filing a lawsuit from taking your personal savings, 403b retirement, house, car, and other property to satisfy the debt or claim IF it was a business debt only or it was only business actions that were at the basis of the suit. But realize that an LLC doesn’t prevent you from being personally liable for your personal actions or your personal debts. Also, if you personally commit certain wrongful acts, even in the course of business, you can still be held personally liable. These actions would include directly injuring someone through negligence or assault, not depositing withholdings from employee wages if it was your duty to do so, committing intentional fraud, or engaging in illegal/reckless actions. You cannot be held liable for the actions of other members or of your employees once you have an LLC – only the company potentially could be. It’s also possible that the other owner or worker could be personally liable. But liability cannot somehow “migrate” to you personally just because you co-own the LLC. Why Opt For An LLC? Aside from tax savings and greater business flexibility, avoiding personal liability is clearly one of the main reasons people opt to convert their small business into an LLC. Even though there are a few, very reasonable limitations, nonetheless, an LLC gives you a large degree of liability protection without forcing you to become a “corporation” and become subject to corporate taxation. The more clients you have, the greater your liability risks. What if a customer slips on your office floor and ends up in the hospital? Who’s going to pay for it? What if an employee accidentally damages a customer’s car? Do you want to be personally liable for that? LLC status makes sure you won’t be, and again, adding general liability insurance will make sure such an accident doesn’t bankrupt your business either. The bigger and more prosperous your business grows, the bigger will be its business debts and potential liabilities – and the bigger target it will be for frivolous lawsuits as well. There comes a time when becoming an LLC is well worthwhile for the protections it gives you against these types of threats.